Now and then it’s nice to have someone treat you to dinner, no? Well, maybe this next one will be on us. 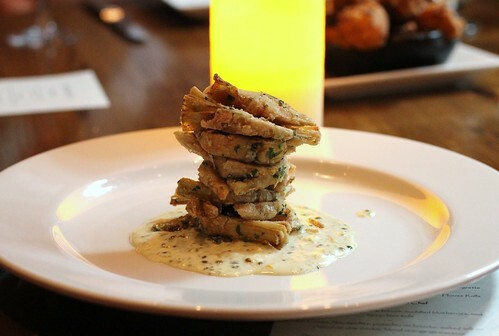 Seasons 52 has provided We Love DC with two $52 gift cards to give to two lucky winners. Should you win, you’ll get to check out the restaurant’s new autumn menu which launches on September 18th. Or you can also take advantage of the “flight and flatbread promotion” through September 30th, which offers a personalized wine tasting/selection and flatbread for $15 per person until 6:30 PM daily. 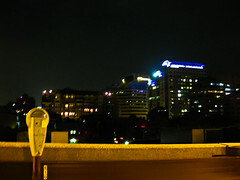 Seasons 52 has locations in North Bethesda and McLean. For a chance to win a gift card, leave a comment on this post using a valid e-mail address between 8 AM and 4 PM today. One entry per e-mail address. We’ll close the comments section at 4 PM and two winners will be randomly selected and notified by e-mail. If you’re chosen as a winner, you must respond to the e-mail within 24 hours or you will forfeit the gift card and we’ll select another winner. Good luck! On a recent trip to Boston, an old high school friend and I were walking through town when we came across the burrito joint. “It’s Boloco! You’ve never heard of Boloco? They’re all over Boston!” he said. I felt like I was missing out on something with our burrito chains in DC. So the only reply I could muster was, “Dude, I don’t live in Boston.” A few months later the name (which stands for BOston LOcal COmpany) rang a bell when I saw they were opening in Bethesda, and I remembered the fervor with which my Bostonian friend talked about their burritos. Before you read any further, here’s your free food alert: Boloco in Bethesda is giving out free burritos today from 11 AM to 8 PM. The small, mini burritos and bowls are free, and the original-sized burritos are just $1. 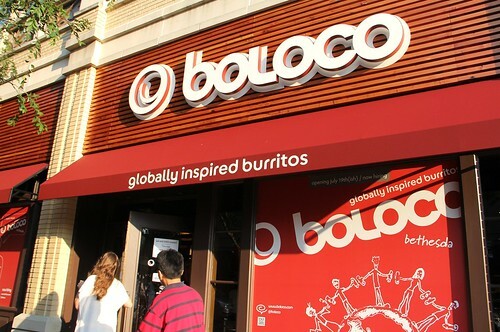 Boloco is located at 4930 Elm Street, Bethesda, DC. Oh yeah. You heard me right. Free food (read: hoagies!) at the Taylor Gourmet in Bethesda in honor of their one year anniversary. 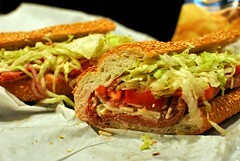 If you stop by anytime from 11 AM til 8 PM today, you’ll get a free six-inch hoagie or pastina salad. Plus, Taylor Gourmet is really upping the ante by raffling off free hoagies for a year, a catered office party for up to 30 people (note: your office must be in Bethesda or Chevy Chase), 4 tickets to a Washington Capitals game and a paid Bethesda parking ticket. Summertime rolls around and if you’re like me and have a kitchen that turns into a sauna from June through September, you want to spend as little time as possible over the stove. That’s not to say that you’re willing to sacrifice having a good meal. 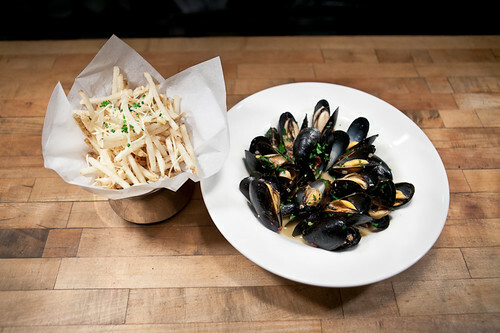 After the jump, you’ll find chef Quanta Robinson’s recipe for Malt Mussels with Frites (read: french fries). It’s straightforward and doesn’t take a ton of time to cook. Plus who doesn’t love a brothy bowl of mussels with a good chunk of crusty bread or frites? A lot of people will say that food can open up a whole new world for a person, be it a new world of flavors and ingredients or insight into a foreign culture. 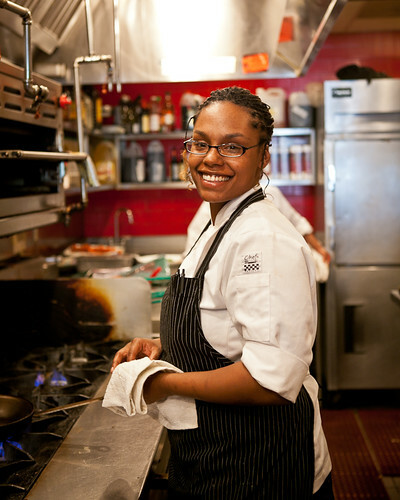 Quanta Robinson, executive chef at Black’s Bar and Kitchen in Bethesda, sees it as her job to open people’s minds with cooking. “It’s rewarding to hear, ‘I would never have tried ‘blank,’ but I did and I liked it,” she says. Quanta says that sometimes it’s as easy as changing the seasoning or the approach to a dish or particular ingredient, in order to get people to try something new (and like it). “I’m horrible with change, so I know it’s hard to break out of a comfort zone,” she jokes. But when a server or a guest at Black’s tells her that they enjoyed a dish they never thought they would, that’s when she can smile and cherish a “small victory.” “A lot of people aren’t chance-y or they’re picky, so it’s about making those people leave happy,” she says. 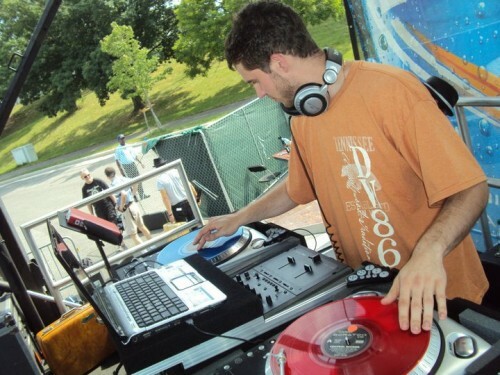 While a lot of us were off at the beach, visiting family, or at weddings this Memorial Day Weekend, Shea “DJ ReOffender” Mulcahy was busy turning a hobby into a professional freelance career. ReOffender is a self-proclaimed “Man of Music.” When he’s not at his day job, he finds himself singing or at the keyboard writing songs. And him and his iPod? Well forget about it! If you saw him, you’d think they were permanently attached. 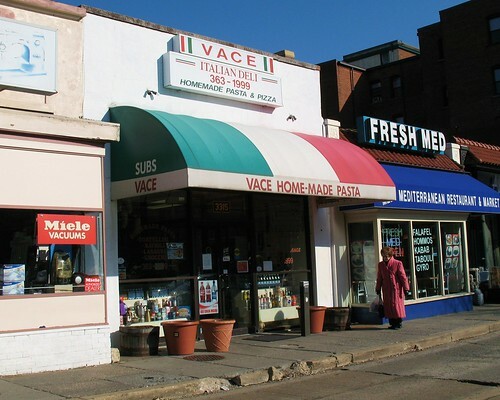 Vace in Cleveland Park isn’t just an Italian market, it’s a way of life. The best way to explain this is with this little story. A friend of mine loved the pizza from Vace so much that every time he ordered it, he never made it home without eating a good portion of his order mid-commute. Not so interesting? Well, let me set the actual scene. He would order a large pizza while on the train at Metro Center, head up to Cleveland Park and spend the walk down Connecticut Avenue to his place in Woodley Park chowing down on half his pizza. I certainly hope some tourists leaving the zoo snapped a picture of this crazy dude, box top askew with pizza down his face. Now THAT is love. This They Make DC marks the first entry in a series that will profile the various small businesses manufacturing their products in the DC Metro area. 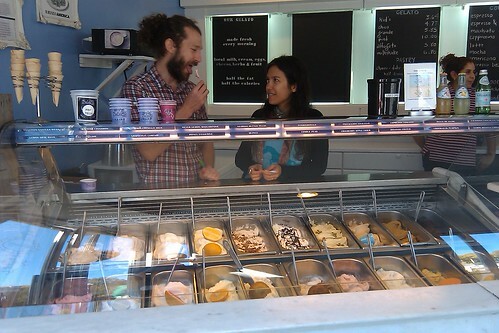 In these features, we’ll tour the facilities and shops where these goods are made and sold, with the ultimate goal to gain a deeper understanding of what it’s like to own, run and operate a business in our beloved capital city. So without further adieu, let’s kick this bad boy off. It’s Wednesday night. You’re tired. Your big plans are to watch Top Chef with your good friends Hint of Lime Tostitos and Diet Coke. Maybe you’ll even invite some guacamole along if you’re feeling extra social. While that does sound like quite the party, there’s an even better option on tap for tonight: Redwood Restaurant & Bar’s second birthday in Bethesda. In addition to free hors d’oeuvres, you’ll also enjoy happy hour specials and live music from Donato Soviero and Latin jazz band Trio Caliente. At 9pm, the restaurant will show Top Chef on a jumbo 16′ by 18′ screen, allowing you to get your weekly fix of Tom Colicchio after all. The fun starts at 7pm, and the kitchen will stay open late until 11pm. 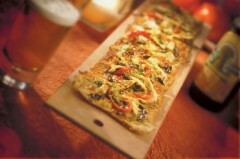 Redwood Restaurant & Bar is located at 7121 Bethesda Avenue, Bethesda Maryland 20814. Closest Metro: Bethesda (Red line). For more information, call (301). The Daily Feed, WMATA, WTF?! 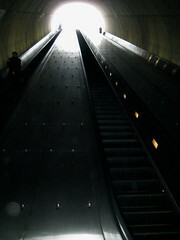 Would You Climb Up A Metro Escalator? 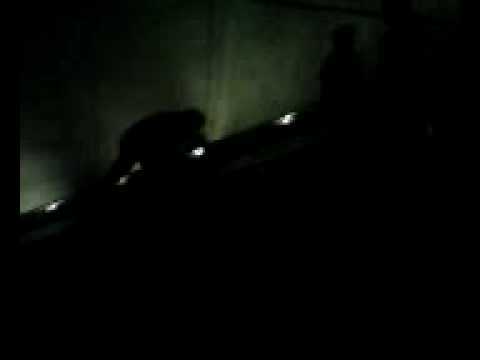 Here’s an interesting find I read from my co-worker Meggiepoo: a man climbing up the escalator partitions at the Bethesda Metro Station after a Caps game back in May 2009. The video was found and posted over at Unsuck DC Metro and makes me wonder if he was over-served at the game, couldn’t take people standing on the left, or unwilling to walk up a broken escalator. As a relatively new daily Metro commuter I can understand the rage we all get from overflowing rail cars and broken down elevators and escalators. I do have to give this crazy Marylander some credit, I’ve always wanted to slide down the partition but Metro smartly put metal bumps on them to prevent that kind of crazy behavior. Of course they now make good climbing grips for those willing to scale an escalator. Of course we here at We Love DC are not endorsing this sort of behavior but I hope it gives you a smile during your lunch. 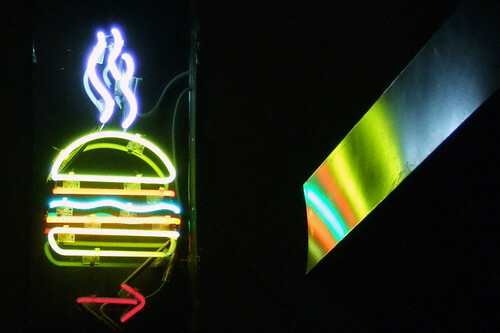 Here’s another feature where WeLoveDC authors Donna (greenie) and Katie (foodie) have paired up to tell you about local restaurants that take on the challenge of being green. Donna will explain the logic behind the environmentally friendly trends, and Katie will tell you if the food tastes any good. It’s a rough life, but someone has to do it, right? 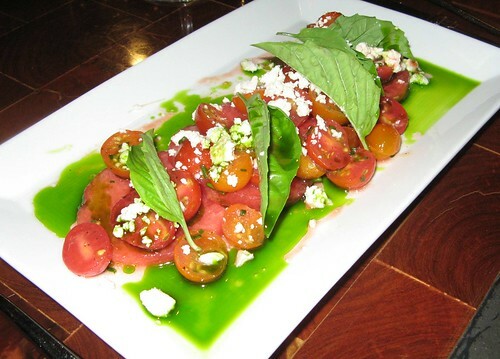 Katie: Located in the heart of Bethesda Row, Redwood Restaurant and Bar is sleek, clean and stylish. With high ceilings and unsurprising wood decor, it’s a huge modern space with some seriously tasty food. 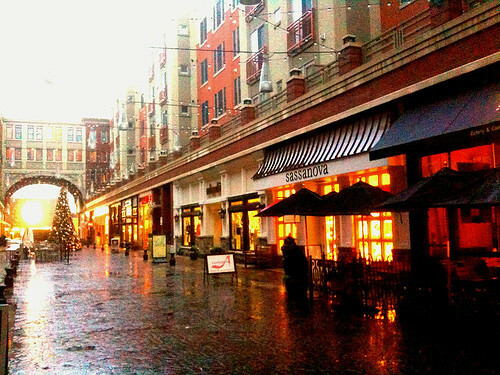 And not only that, they do a great job of sourcing their products from local farmers, and utilizing the Bethesda farmer’s market, conveniently located right outside their door. 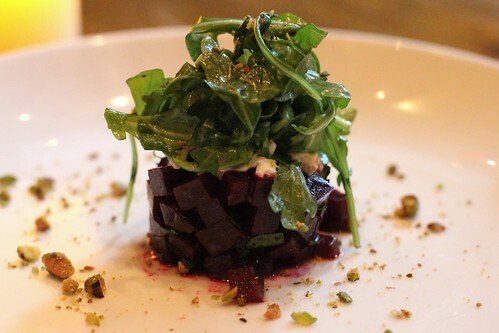 Donna and I were invited to explore Redwood’s local food, so we went one Thursday night and sampled the fare and heard from Executive Chef Blake Schumpert exactly how he chooses the produce and meats he uses. Donna: I like that at Redwood, they spell out their philosophy toward local foods up front, with a statement from owner and CEO Jared Rager posted on the Web site and a shorter message printed on the menus, so there’s no mistaking: “We are an independent, locally owned restaurant that showcases a seasonal menu featuring the best mid-atlantic ingredients available. Our produce, cheese, meat, and seafood is naturally-raised, organic, or sustainable whenever possible and is sourced from local growers. We’ve assembled a wine list from around the world with a particular focus on small production vintners who practice sustainable viticulture – making wine in a way which is economically viable, socially supportive and ecologically sound.” Hooray! When most organizations celebrate an opening, they cut a ribbon. 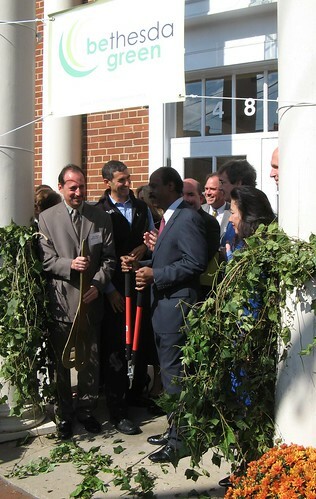 The folks at nonprofit Bethesda Green, which launched its new Education Center and Green Business Incubator yesterday morning, had a different idea. Shiny ribbons made from petroleum aren’t good for the planet, so they strung an invasive vine across the building’s entrance and chopped it up with giant shears. In doing so, they opened Maryland’s first green business incubator, which will provide offices and support to entrepreneurs and create green jobs for the community. So far eight start-ups are involved, focusing on everything from rain barrels to sustainable food to charging stations for electric cars. In addition, the new center will be a hub for people like you and me who may like to volunteer for planet-friendly projects. It’s off to a great start. Since forming just last year, this group has led a variety of projects, including adding 15 recycling bins to downtown Bethesda, hosting a local farms tour, researching ways to turn local restaurants’ used cooking oil into biodiesel fuel, collecting 180,000 pounds of used electronics, recycling toner cartridges for businesses and even reusing crayons for kids. The celebration continues through Saturday, with an open house from 10 a.m. – 4 p.m. focusing on sustainability in the community. 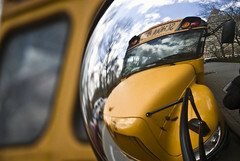 The Big Green Bus is coming to Saturday’s Bethesda Big Train baseball game. This summer, 15 Dartmouth students are driving this bus, powered by waste vegetable oil, across the country to raise awareness and spur action on climate change. You can see them at the 7:30 p.m. game at Shirley Povich Field in Cabin John Regional Park. Wear your Bethesda Green t-shirt, or buy one there, and you can get a free ticket as long as their supply lasts. It is physically hurting me that I will be missing seeing Christian Siriano in Bethesda on Friday, I almost cried when I had to turn down my invitation to his fashion show at Redwood. 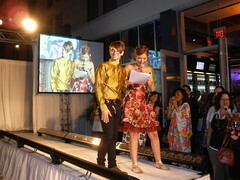 The Project Runway star is coming to town as part of The Front Row, a three-day, five-block fashion event including runway previews, in-store style and beauty events, designer appearances, trunk shows and more at the fabulously fashionable retailers and restaurants at Bethesda Row. But even if I won’t be there, you can go and make me jealous. For a full list of events happening this weekend at The Front Row, click on through to the event listing (PDF). 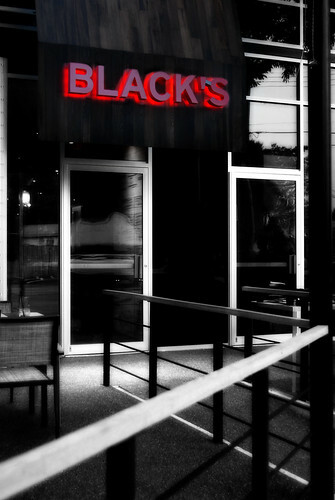 Known as one of the best happy hours in the northern Metro area, Black’s Bar & Kitchen is situated a few blocks from the Bethesda Metro station. 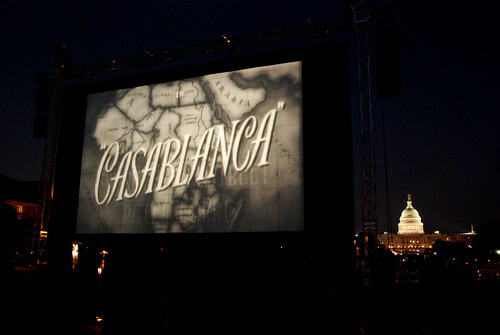 WLDC author Acacia and I were headed to Bethesda to review Menopause the Musical (which you can read all about) and we decided we could make it a double feature – a We Love Arts and a We Love Food, all in one trip. I would recommend you replicate our Bethesda trip, I enjoyed the play, but I will probably look back with even more fondness on our eats. We stepped into Black’s and basically halted, it was absolutely packed. The interior is sleek, stylish and clean. The bar features two and four-seater booths are built into the back wall with a few free standing tables between the booths and the bar. Large windows look out onto Woodmont Ave. and the patio featuring a small modern pond. We couldn’t find a seat in the bar area, and it was one of those pre-spring days too chilly to sit outside, but we had plenty of time to waste before the show so we decided to wait it out. Soon thereafter a table opened up, but the wait gave us time to survey the crowd. Around 6 p.m., we were bringing down the median age – it was mostly a 35-55 aged crowd, complete with power suits and ties. But by the time we left around 7:15, the average age had lowered considerably, and there were plenty more jeans and after-work twenty-somethings mixed in the crowd.